As I feared, my resolve to blog daily during the NOFA-NY Locavore Challenge was upended this week when I was slammed with (paid) work and couldn’t manage to get in the daily posts. Blogging is an interesting animal: Few bloggers can monetize their ruminations, so in that regard I’m rather ahead of the game (of course, I do have an actual degree in Journalism and have worked for a daily newspaper, not to mention various other writing enterprises over the course of 15+ years getting paid to write). I really do count myself lucky in this day and age when print opportunities are so few to have the ability to generate a small income by writing online. 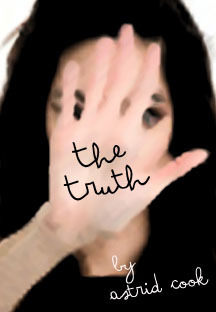 Keeping up the daily posts that I want to write can interfere with the semi-weekly posts that I need to write. I love writing regardless, but something had to give this week (I also had a couple of newsletters plus parent-child related work I was doing). I do quite a lot of volunteer work, as well, so if I am volunteering 2-3 hours in a day, I’m not exactly keeping up with my yoga, or this blog. So, rather than recap what you missed (or what I missed in terms of Daily Challenges—technically 1 for 5, if you count making zucchini bread four days—and Foods of the Day, which I probably will miss five in a row unless I pick up some apples at the market today), I want to do a bit of my own ruminating about what I’ve discovered about myself, food, and locavorism at the challenge half-way point. First off, certain foods really have no substitute. For example, my beloved lemons. A friend has suggested I grow a Calamondin plant, since my primary use of lemons is as an early morning cleanse. Apparently Filipinos have been using Calamondin citrus in hot water for generations. As the plant can be grown indoors in a moderate climate, my friend’s idea has merit. I’ll have to look into growing my own citrus at some point. Of course, Brooklyn apartments are not ideal for many plants, but I do have south-facing windows that generate a lot of heat, so I’m assuming this type of plant would thrive and bear fruit. Second, new foods take some getting used to. I’ve been noticing a distinctive “dirt” taste to my food lately. At first I thought it was just not cleaning the vegetables properly or that some of my share items were just more “earthy” this time of year (starting to get into those root vegetables). After awhile, I started to worry if I was preparing food in a pan that was leaching toxins. 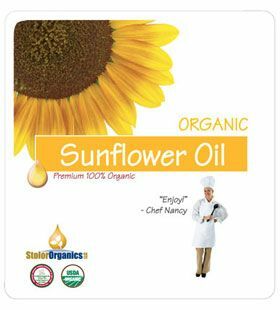 Finally, I smelled the sunflower oil I had picked up from Stolor Organics, a NOFA-approved farm located just inside that 250-mile radius. I knew I wasn’t going to get an instant Calamondin plant, meaning I wouldn’t be giving up my lemons, but I thought I could give up my beloved olive oil for a month, which I did by substituting sunflower oil and butter. However, until I discovered the source of the new taste, it was disconcerting. Now that I know the unusual taste is coming from the oil, I’m starting to embrace this new flavor, but it does take time. Third, I think I knew this, but I really don’t like prescribed dietary choices. I’ve never done well on traditional diets for losing weight, because I don’t like following a set menu or meal plan (the few times I’ve tried to lose weight successfully, I just ate less and exercised more). When I have to eat a particular food each day, I almost willfully don’t want to eat it. Call it a stubbornness on my part or just experience borne from years of looking into a refrigerator full of whole foods and having to whip up dinner from whatever is there. On the days of the challenge where I had the FotD already on hand, I prepared the recipe suggested by the NOFA-NY newsletter. When I didn’t have the food already, I might seek it out if it was easy (e.g. I generally can make it to the greenmarket on Saturdays or Sundays… although why there are raspberries on a NY-centered September calendar makes me wonder if the person creating the Challenge calendar isn’t a bit of a prankster). Fortunately the second half of the calendar seems more plausible for me to follow (I doubt I’ll make it until Friday to eat turnips, since I have them from yesterday’s CSA share, and I doubt I’ll get any lima beans, which we planted in our garden plot but they didn’t really thrive). Fourth and finally, daily blogging really does take more of a commitment than I can generally make. It’s like daily exercise when you’re not a gym rat; the day gets away from me and I end up with just one more “to do” on my list. I don’t want this challenge to be a challenge. I want it to be a growing experience, and so far it has been.